In silver, the total open interest FELL by 307 contracts DOWN to 165,040 with respect to YESTERDAY’S TRADING (short covering by the banks). In ounces, the OI is still represented by just less THAN 1 BILLION oz i.e. .825 BILLION TO BE EXACT or 118% of annual global silver production (ex Russia & ex China). FOR THE JANUARY FRONT MONTH IN SILVER: 0 NOTICES FILED FOR nil OZ. In gold, the total comex gold ROSE BY 3,603 contracts WITH THE RISE IN THE PRICE GOLD ($0.70 with YESTERDAY’S trading ). The total gold OI stands at 444,001 contracts. The Turkish lira continues to plummet to 3.87 to the dollar as its current account deficit skyrockets Not even a rise in rates is helping stem the currency debasement. ii)Due to higher rates and also the fact that the central banks are paying banks to hold reserves, the Fed only remitted 92 billion back to the treasury in 2016, its lowest level in 3 yrs. The total gold comex open interest ROSE BY 3,603 CONTRACTS UP to an OI level of 444,001 AS THE PRICE OF GOLD ROSE $0.70 with YESTERDAY’S trading. We are now in the contract month of JANUARY and it is one of the poorest deliveries of the year. With the front month of January we had a LOSS of 25 contracts DOWN to 136. We had 23 notices filed so we LOST 2 contracts or AN ADDITIONAL 200 oz WILL NOT STAND for gold in this non active delivery month of January. For the next big active delivery month of February we had a LOSS of 10,543 contracts DOWN to 253,196. March had a gain of 112 contracts as it’s OI is now 461. And now for the wild silver comex results. Total silver OI FELL by 307 contracts FROM 165,347 DOWN to 165,040 AS the price of silver ROSE BY $0.17 with YESTERDAY’S trading. We are moving further from the all time record high for silver open interest set on Wednesday August 3/2016: (224,540). We are now in the non active delivery month of January and here the OI FELL by 124 contracts falling TO 234. We had 124 notice(s) filed on yesterday so we neither gained nor lost any silver contracts (oz) standing for metal in this non active month. The next non active month of February saw the OI FALL by 1 contract(s) FALLING TO 202. The next big active delivery month is March and here the OI FELL by 1607 contracts DOWN to 131,631 contracts. We had 0 notice(s) filed for nil oz for the January contract. Today the estimated volume was 349,339 contracts which is excellent. To calculate the initial total number of gold ounces standing for the JANUARY. contract month, we take the total number of notices filed so far for the month (1046) x 100 oz or 104,600 oz, to which we add the difference between the open interest for the front month of JANUARY (136 contracts) minus the number of notices served upon today (0) x 100 oz per contract equals 118,200 oz, the number of ounces standing in this non active month of JANUARY. average 17.389 tonnes per month vs last yr 51.534 tonnes total for 13 months or 3.964 tonnes average per month. IN THE LAST 5 MONTHS 71 NET TONNES HAS LEFT THE COMEX. TED BUTLER IS CORRECT: JPMORGAN IS MASSIVELY ACQUIRING SILVER. Thus the initial standings for silver for the JANUARY contract month: 432(notices served so far)x 5000 oz +(234) OI for front month of JAN. ) -number of notices served upon today (0)x 5000 oz equals 3,330,000 oz of silver standing for the JAN contract month. This is STILL huge for a non active delivery month in silver. We neither gained nor lost any silver oz standing in this non active month of January. YESTERDAY’S confirmed volume was 81,497 contracts which is also huge. 1. Central Fund of Canada: traded at Negative 6.3 percent to NAV usa funds and Negative 6.9% to NAV for Cdn funds!!!! Note: Sprott silver trust back into POSITIVE territory at +0.19% /Sprott physical gold trust is back into NEGATIVE territory at -0.45%/Central fund of Canada’s is still in jail. 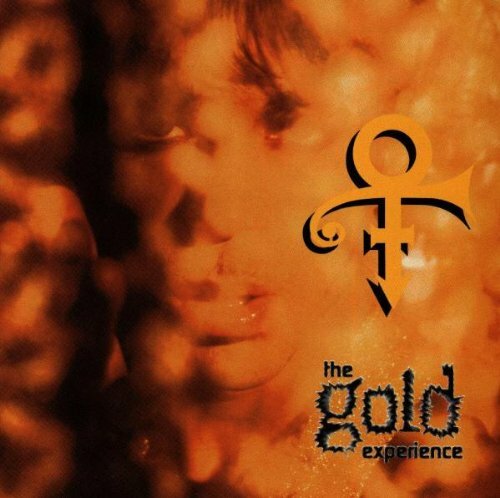 Prince, RIP, owned gold bars worth just over $800,000 according to the statement filed in a Minnesota court last Friday. At the time of his death, Prince had taken delivery of and had in his possession 67 gold bars, 10 ounce gold bars, valued at $836,166.70. That’s according to an asset inventory compiled by Bremer Trust released by the Carver County District Court, as first reported by the Minneapolis Star Tribune. The release inventory showed that the “Purple Rain” singer had no stocks, bonds, or other financial assets, but did have a substantial amount of land, property, cash and gold bars. Besides the gold bars, Prince also had “about $110,000 in four bank accounts, unclaimed property, capital credits and cash” according to the Minneapolis Star Tribune. He also had a dozen tracts of land in Carver and Hennepin, Minnesota that have an estimated total value of $25.4 million. His estate has been valued between $100 million and $300 million before taxes, which are expected to claim roughly half. Among the items that have not yet been assigned a specific value are the ‘When Doves Cry’ singer’s musical instruments, household furnishings, jewellery and his famous ‘Purple Rain’ and ‘Graffiti Bridge’ motorcycles. 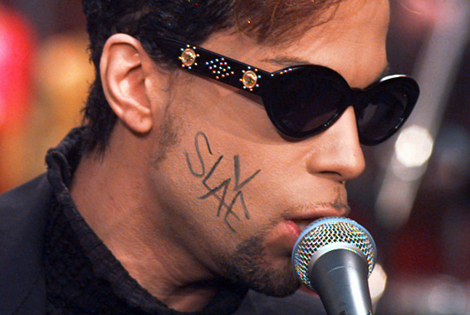 In addition, the value of Prince’s copyrights and trademarks are still unclear. Prince’s companies, Paisley Park Enterprises Inc., NPG Records Inc., NPG Music Publishing and LotusFlow3r had more than $6 million in cash. It seems likely that the land Prince owned was agricultural land as Minnesota is still a largely agricultural state. Prince, like many artists, preferred hard, tangible assets to paper assets such as bonds and stocks. It seems that he also understood the value of diversification and owning physical gold as financial insurance. Possession is 9/10s of the law – especially in a financial crisis. He had worked hard all his life and did not want to be a “slave” to the banks, corporations and the financial system. Contrary to some media, Prince was no crazy “gold bug” or “Scrooge McDuck” who was “hoarding” gold for Armageddon. Prince’s hard asset portfolio had an allocation to gold of about 2% of his overall portfolio. We would advise higher allocations of 10% plus for investors and savers. However, for high net worth individuals that allocate to physical gold, 2% is a healthy allocation if taking possession of gold coins and bars. GATA Chairman Bill Murphy will speak at The Dollar Vigilante’s second annual internationalization and investment summit in sunny Acapulco, Mexico, on Friday, February 24, a day ahead of the four-day “anarcho-capitalist” Anarchapulco conference there. Also speaking at the Dollar Vigilante conference will be the financial letter’s co-founders, Jeff Berwick and Ed Bugos; David Morgan of The Morgan Report and Silver-Investor.com; Bix Weir of the Road to Roota letter; and mining industry broker Ben Johnson. Speakers at the Anarchapulco conference will include G. Edward Griffin, author of the classic polemical history of the Federal Reserve System, “The Creature from Jekyll Island”; bitcoin proponent Trace Mayer; and a dozen even freer spirits. — The world’s economic and financial outlook. — Monetary metals investing and strategies. — Investing in gold and silver mining stocks. — Cryptocurrency storage, trading, and investing. — “Perpetual traveler/prior taxpayer” theory. — Expatriation and international opportunities. The conferences will be held at the conference center at the spectacular Resort Mundo Imperial. Admission to the TDV conference alone costs $395 and you’ll get a $10 discount if you use “GATA” as a coupon code. Admission to the Anarchapulco conference costs $245 for the first 300 registrants. A student discount is available. 3b Japan 10 year bond yield: RISES TO +.065%/ !!!! (Japan buying 100% of bond issuance)/Japanese yen vs usa cross now at 116.28/ THIS IS TROUBLESOME AS BANK OF JAPAN IS RUNNING OUT OF BONDS TO BUY./JAPAN 10 YR YIELD FINALLY IN THE POSITIVE/BANK OF JAPAN LOSING CONTROL OF THEIR YIELD CURVE AS THEY PURCHASE ALL BONDS TO GET TO ZERO RATE!! 30 SNB (Swiss National Bank) still intervening again in the markets driving down the SF. It is not working: USA/SF this morning 1.0208 as the Swiss Franc is still rising against most currencies. Euro vs SF is 1.0725 well above the floor set by the Swiss Finance Minister. Thomas Jordan, chief of the Swiss National Bank continues to purchase euros trying to lower value of the Swiss Franc. European and Asian shares, the dollar and crude all rose before President-elect Donald Trump’s first press conference since July at 11am on Wednesday, while S&P futures are little changed. Surging raw-materials stocks sent Asian stocks higher. Oil rebounds from the lowest level in a month. In a session light on economic news, all eyes will be on Trump’s press conference scheduled for 11 am: while Trump’s election campaign calls for tax cuts and more infrastructure spending have boosted U.S. shares and the dollar, his protectionist statements and a flurry of off-the-cuff Tweets have kept many investors from adding to risky positions. Trump has vowed to label China a currency manipulator on his first day in office on Jan. 20 and has threatened to slap huge tariffs on imports from China. Paul Ryan and top members of Trump’s transition team are discussing a controversial plan to tax imports. Economists have warned that protectionist measures could stifle international trade and hurt global growth. That brings Trump’s press conference into sharp focus. “From a currency perspective, markets will aim to get a clearer picture on trade, fiscal stimulus and the new administration’s relationship to the Fed,” Morgan Stanley strategists wrote in a note to clients. In early trading, Europe opened lower only to post a modest rebound, as the Stoxx Europe 600 Index added 0.2% while after sliding -0.3%, while the U.K.’s FTSE 100 Index rose 0.1 percent as a result of the latest drop in sterling, climbing for a 12th day. If the move holds, it would be the gauge’s longest rising streak on record. The pound briefly dropped below $1.21 for the first time since October, even as reports show industrial and manufacturing production grew at a faster pace than analysts forecasts. As sterling fell, the dollar rose, and the Bloomberg Dollar Spot Index gained 0.2 percent as of 11:00 a.m. in London. In other notable currency moves, the plunge in Turkey’s lira continued again this morning, tumbling nearly 2% against the dollar to new all time lows after data showed a worsening in the country’s current account deficit and investors took no comfort in the central bank’s latest move to shore up the currency. The lira traded at an all-time low of TRY3.8925 against the dollar after November’s current account figures showed a $590m deterioration in the deficit as the FT notes, heaping further pressure on a slowing economy suffering from sharp drops in tourist revenue. Today’s renewed lira selling follows the central bank’s attempt to put a floor on the currency by freeing up liquidity in the foreign exchange market. However, as we expected, yesterday’s announcement to tweak banks’ FX reserve requirements has done nothing stop investors dumping the currency. S&P 500 Index futures edged higher, reversing declines over the week’s first two days. Commodities rebounded despite the dollar strength, with West Texas Intermediate rebounding from its lowest level in a month, up 0.9% to $52.16 a barrel. Iron ore futures jumped 3 percent in China after a 5.5 percent rally on Tuesday. Gold was little changed. Uranium surged the most in more than three weeks as Kazakhstan said it will reduce production by 10 percent this year after prices slumped in 2016 amid a global inventory glut. Copper held near the highest closing price in nearly a month on the outlook for tighter supply following Indonesia’s signing of new mineral export regulations and miners’ wage negotiations in Chile. U.S. natural gas fell 1.8 percent, paring its biggest gain in three weeks following forecasts of below-average temperatures. Looking at regional markets, Asian stocks traded mostly higher to shake off a mixed US close where the energy sector dragged the DJIA lower. ASX 200 (+0.2%) traded in the green and was boosted by the materials and mining sector after Dalian iron ore rose 8% yesterday. Nikkei 225 (+0.3%) was positive as exporters benefited from recent JPY weakness as USD/JPY reclaimed the 116.00 handle, while Sony (+3.5%) shares post over 3% gains for the second consecutive day. In China, markets were mixed as Shanghai Comp (-0.6%) suffered amid the PBoC conducting yet another weak liquidity operation, while Hang Seng (+0.7%) outperformed and was lifted by positive earnings from a number of properties names. Finally, 10yr JGBs traded marginally higher after the 30yr auction showed a better than prior bid-to-cover, while there was some underperformance seen in the long end of the curve. European equities trade modestly higher so far this morning, with slight outperformance seen in the FTSE 100 (+0.2%). UK indices were supported by the latest earnings update from Sainsbury’s, which followed the trend set by Morrison’s earlier in the week with their impressive report. Elsewhere, focus will remain on the UK housing sector after Foxtons trade lower by around 6% in the wake of their pre-market update. Elsewhere, on a sector specific basis energy and material names are among the laggards, with pharmaceuticals also seeing softness. Fixed income markets continue to see Bunds trade in a relatively tight range, as has been the case throughout the week so far. As such, the German benchmark trades marginally above the 163 level, at the upper end of the aforementioned range. In currencies, the Bloomberg Dollar Spot Index, a gauge of the greenback against 10 major peers, gained 0.2 percent as of 10:58 a.m. in London. Turkey’s lira slumped 1.7 percent, retreating for a fifth day as investors awaited signs the central bank will support the currency. Once again we are left watching GBP taking another beating, with the Cable rate pushed down to 1.2100 to record new cycle lows in the wake of the production and trade data this morning. Both the Nov manufacturing and industrial numbers beat on expectations, but the trade deficit widened on all counts to give GBP bears the ammunition to spark off another sell off. The USD rate is particularly vulnerable going forward, as ahead of the Trump press conference this evening, we are seeing the greenback gaining some traction again, just as many were expecting a little caution/moderation ahead of this, and indeed the inauguration next week. USD/JPY is again leading the way as dip buyers ahead of 115.00 have been plenty this week, but plenty more wood to chop on the upside before we can get comfortable again, as EUR/USD sales continue to run into demand on the way down. Support seen ahead of 1.0500 but stronger levels seen into the mid 1.0400’s. USD/CHF is testing 1.0200 again, but the commodity currencies are giving up little ground as AUD stays in touch with .7400 up top. In commodities, West Texas Intermediate crude advanced 0.9 percent to $52.16 a barrel. Iron ore futures jumped 3 percent in China after a 5.5 percent rally on Tuesday. Gold was little changed. Uranium surged the most in more than three weeks as Kazakhstan said it will reduce production by 10 percent this year after prices slumped in 2016 amid a global inventory glut. Copper held near the highest closing price in nearly a month on the outlook for tighter supply following Indonesia’s signing of new mineral export regulations and miners’ wage negotiations in Chile. U.S. natural gas fell 1.8 percent, paring its biggest gain in three weeks following forecasts of below-average temperatures. In terms of the day ahead, clearly all eyes will be on President-elect Trump’s news conference this afternoon. In fairness the calendar is fairly light anyway with just UK trade data and the industrial and manufacturing production reports for November due out this morning. BoE Governor Carney is also scheduled to speak this afternoon at 2.15pm GMT when he is set to testify before the UK parliament’s Treasury Select Committee while the NY Fed’s Dudley is due to speak at 6.20pm GMT. President-elect Trump’s first news conference since the summer kicks off at 11am ET time/4pm GMT and if his recent tweets are anything to go by it promises to be a lively affair. Mr Trump passed the acceptance speech test with flying colours back on election day with a gracious rehearsed speech. This is likely to be a more confrontational event and much of the world will be keen to see a) how he handles it and b) whether he fleshes out the desired direction of policy. I really can’t see it being a non-event even if I’ve no idea what he’ll say. In fact everything appears to be open for discussion but markets will likely be most interested in what he says about the comprehensive tax reform, foreign policy and border taxes in particular. In addition, after Trump urged congressional Republicans to repeal Obamacare immediately yesterday and vote on a replacement bill within weeks, expect that to also be a topical subject. On top of this the overnight press is dominated by a CNN report which suggests that US intelligence officers presented Trump with classified documents last week including allegations that operatives in Russia claim to have unverified compromising financial and personal information about Trump. So it should be interesting. Ahead of this markets have been fairly reluctant to lay on any big bets this week heading into today’s main event. Indeed it’s been another fairly quiet 24 hours on the whole. Look no further than the S&P 500 which closed completely unchanged last night after wiping out some early modest gains. Sector wise gains for financials and health care stocks were balanced out by losses across energy stocks and real estate. Prior to this in Europe the Stoxx 600 (+0.11%) closed a touch firmer but again it wasn’t anything to get too excited about. One market which continues to surge on though is the FTSE 100 which yesterday closed up another +0.52%. In doing so it not only notched up its 9th consecutive fresh record high – the longest such run – but also took its run of consecutive daily gains to 11 which is a feat matched on only three other occasions, those coming in 2009, 2004 and 1997. In total return terms over those 11 days the FTSE 100 has notched +3.37% with the latest leg lower for Sterling (-1.48% in the same period) a big driving force. Indeed in US Dollar terms the return over that time is a more modest +1.83%. Refreshing our performance charts quickly, with the Pound now down -18.20% since the Brexit vote the FTSE 100 has now delivered a +16.80% total return in Sterling terms but a -4.45% total return in US Dollar terms. Meanwhile commodity markets continue to pull in different directions. WTI Oil dipped another -2.19% yesterday and finished below $51/bbl having closed at $54/bbl on Friday. That’s despite there not really being any new news with the market still seemingly focused on the supply story in the US. On the other hand Gold was up another +0.72% yesterday along with decent gains for other precious metals, while iron ore (+2.19%), copper (+2.99%) and zinc (+1.99%) also continue to hover around recent highs after getting a boost from the huge increase in China producer price inflation yesterday. Rates markets, meanwhile, were a touch weaker if anything with 10y Treasury yields edging up 1.1bps to 2.377%. The Greenback (+0.10%) ended a touch firmer. This morning in Asia, with the exception of China the mood is generally positive. The Nikkei (+0.36%), Hang Seng (+0.66%), Kospi (+1.45%) and ASX (+0.23%) are all up, largely led by anything commodity linked, while the Shanghai Comp (-0.53%) is currently in the red. US equity index futures are little changed while bond markets have been quiet. Moving on. While markets weren’t particularly thrilling yesterday there was at least some interest in the data. Specifically it was the NFIB small business optimism survey in the US which turned a few heads after the index surged 7.4pts in December to 105.8 (vs. 99.5 expected). That is actually the largest one-month gain ever for the index and puts the index at the highest level since December 2004. The gain was mostly reflected in the economic outlook index which rose a whopping 38pts. Our US economists noted that the since the NFIB data are highly correlated with the broader economy, which makes sense given that small and medium sized business account for nearly 80% of the labour market, the recent upshift in the NFIB strongly suggests that 2017 real GDP growth may be even better than their well-above consensus 3% forecast. In terms of the other data, JOLTS job openings pointed to a steady hiring and quits rate in November (3.6% and 2.1% respectively while wholesale inventories were revised up one-tenth to +1.0% mom in November versus the initial estimate. In Europe the only data came from France where industrial production was reported as jumping a much better than expected +2.2% mom in November (vs. +0.6% expected). Finally before we wrap up, yesterday we also got the announcement that Richmond Fed President, Jeffrey Lacker, is to retire on October 1st and so step down from his role at the Fed. The news is notable given that Lacker has been one of the more, if not the most, hawkish Fed officials in recent years. While much of America was preparing to listen to Obama speak one final time, the Chinese had far less lofty ambitions, and on Wednesday morning Beijing sent a group of Chinese warships led by China’s sole aircraft carrier north through the Taiwan Strait, resulting in Taiwan scrambling jets and navy ships in the latest sign of heightened tensions between China and the self-ruled Taiwan. According to Reuters, The Soviet-built Liaoning aircraft carrier, returning from exercises in the South China Sea, was not trespassing in Taiwan’s territorial waters but entered its air defense identification zone (ADIZ) in the southwest, Taiwan’s defense ministry said. As a result Taiwan scrambled jets and navy ships to “surveil and control” the passage of the Chinese ships through the narrow body of water separating Taiwan and China. “We have full grasp of its movements,” Taiwan defense ministry spokesman Chen Chung-chi said. The defense ministry spokesman added that the Taiwanese military aircraft and ships have been deployed to follow the carrier group, which is sailing up the west side of the median line of the strait. Previously, China has said the Liaoning aircraft carrier was on drills to test weapons and equipment in the disputed South China Sea and its movements comply with international law. As Reuters adds, the latest Chinese naval exercises have unnerved Beijing’s neighbors, especially Taiwan which Beijing claims as its own, given long-running territorial disputes in the South China Sea. China claims most of the energy-rich waters of the South China Sea, through which about $5 trillion in ship-borne trade passes every year. Neighbors Brunei, Malaysia, the Philippines, Taiwan and Vietnam also have claims. While China traditionally distrusts Taiwan, and especially the new President Tsai Ing-wen, it has has stepped up pressure on her following a protocol-breaking, congratulatory telephone call between her and U.S. President-elect Donald Trump last month. The price of bitcoin slid over 1,200 Yuan in heavy trading in China, crashing nearly 20%, and down more than $100 under $800 on comparable US markets Wednesday, after China’s central bank said it had launched “spot investigations” on bitcoin exchanges in Beijing and Shanghai in order to fend off market risks. The investigation of exchanges, including BTCC, Huobi and OKCoin, was to look into “possible market manipulation, money laundering, unauthorized financing and other issues”, according to the statements posted on the People’s Bank of China’s website. for those buying into bitcoin here on the momentum, most of which originates in China, we urge readers to be cautious as by now the PBOC has certainly noticed that the digital currency remains one of the final, and most successful, means of bypassing capital controls in China. Should Beijing mandate that bitcoin no longer be a means to illegally transfer capital offshore, there is risk of a dramatic, and sharp, drop in its price. Well, Beijing noticed, and the “dramatic, sharp” drop in price has taken place as expected; worse with China now openly aggressive against bitcoin “manipulation” it is difficult to see where the next burst of buying momentum will come from, if only in the near term. However, one possibility is that Chinese capital control-evaders will now gravitate to other alternative digital currencies, such as Ethereum, which have so far been far less prominent among Chinese bubble chasers. As Reuters further adds on the Chinese crackdown, authorities have been ratcheting up efforts to stop capital outflows and relieve pressure on the yuan to depreciate. The currency lost more than 6.5 percent against the U.S. dollar last year. With bitcoin’s soaring price and the relative anonymity it affords, some believe the digital currency has become an attractive option for tech-savvy Chinese to hedge against the yuan and circumvent rules that limit the amount of foreign exchange individuals can buy each year. “Some”… such as this site, which said to buy bitcoin precisely on that catalyst back in September 2015 when it was $230. However, after surging five-fold it was inevitable that China would notice, and the time to take profit had come. The Shanghai arm of the PBOC said it visited BTCC on Wednesday. “The checks focused on whether the firm was operating out of its business scope, whether it was launching unauthorized financing, payment, forex business or other related businesses, whether it was involved in market manipulation, anti-money laundering or (carried) fund security risks,” it said. In a separate statement, the PBOC in Beijing, where officers visited the offices of OKCoin and Huobi, said “the spot checks were focused on how the exchanges implement policies including forex management and anti-money laundering”. A Huobi executive who declined to be named confirmed the PBOC visited their office on Wednesday, but declined to provide details. A spokeswoman for OKCoin told Reuters its platform was operating normally, and it was working with the authorities. Last week, PBOC officials meet with the three exchanges, and the central bank publicly urged investors to take a rational and cautious approach to investing in bitcoin. Shanghai-based BTCC’s CEO Bobby Lee confirmed the visit, but said he believed the company was not out of line. “We’re definitely vigilant. We think we are in compliance with all the current rules and regulations of running a bitcoin exchange in China,” he told Reuters by phone. “I wouldn’t call it an investigation. I think they are working closely with us to learn more about our business model and the bitcoin exchange industry. We had a very fruitful meeting today,” Lee said. Judging by today’s plunge in the price of bitcoin, which has taken it back to levels just before last December’s blast off, the market disagrees. Confirming recent leaks, Volkswagen – whose former head of US regulatory compliance was arrested on Saturday – said it was in “advanced discussions” with US authorities to resolve charges related to its diesel emissions scandal, and has negotiated a “concrete draft of a settlement” that would see it pay $4.3 billion in criminal and civil penalties, and would require the German carmaker to enter a guilty plea to various criminal charges, strengthen compliance systems and install an independent monitor for three years. In case of a settlement agreement, the payment obligations are expected to lead to a financial expense that exceeds the current provisions. The concrete impact regarding the annual result 2016 cannot be defined at present due to its dependency on various further factors. According to Bloomberg, VW’s management and supervisory boards are scheduled to review the settlement today or Wednesday and may raise provisions related to the scandal, which currently total €18.2 billion ($19.2 billion). A final agreement also needs to be approved by U.S. courts. The U.S. Justice Department declined to comment on Volkswagen’s statement. VW, which admitted in September 2015 to installing software in its diesel cars to cheat emissions tests, is eager to resolve potential criminal charges before federal prosecutors overseeing the settlement talks leave with the Obama administration later this month the FT added. The concrete implications on the result of the Porsche SE group for the fiscal year 2016 can only be reliably assessed once Volkswagen group has conclusively evaluated the financial liabilities resulting from this settlement. At this point in time it cannot be ruled out that the Porsche SE group result after tax may fall below the previously communicated corridor between Euro 1.4 bn. and Euro 2.4 bn. Finalizing the settlement would mark a key milestone in Volkswagen’s effort to emerge from the scandal that erupted in September 2015 after U.S. authorities uncovered the carmaker’s efforts to deliberately cheat on emissions tests on diesel vehicles. The rigged engines were ultimately installed in 11 million vehicles worldwide, and cost former Chief Executive Officer Martin Winterkorn his job. There was some modest concern early this morning that the tenure of the new Italian cabinet of Paolo Gentiloni could be short lived, following a decision by Italy’s constitutional court this morning, which might have approved a referendum on worker reinstatement rights. However, those fears receded when early moments ago Italy’s Constitutional Court rejected a request by the country’s top union to hold a referendum on a key provision of the 2015 labor market reform which makes it easier for companies to fire workers and believe are victims of “unfair dismissals”, handing a belated, if pyrrhic, victory to Matteo Renzi, the former prime minister who engineered the overhaul. According to the FT, the firing provision preserved by the ruling involved the elimination of “article 18? of the Italian labor law which forced companies to rehire workers who had been unfairly sacked instead of simply compensating them. It is seen by Mr Renzi and many Italian businesses as a key structural reform in the country whose labor market is often viewed as sclerotic and unfriendly to companies looking to boost employment. In its ruling the constitutional court said that the request for a referendum to abolish provisions on the firing measure was “inadmissible”, according to Bloomberg. However, the court did approve a referendum on two other less important measures, including one on vouchers for short-term work, and one on employment in public contracts, which had also been pushed by Italy’s largest trade union, the CGIL. Renzi’s 2015 labour reform is often considered the cornerstone of his economic agenda, even if in the end it proved largely irrelevant and had a limited impact on the Italian jobs market in the short term. While employment has grown modestly it was introduced, unemployment has remained high as many Italians re-entered the work force but failed to find jobs. On Monday, Italy reported that its unemployment unexpectedly rose to 11.9%, the highest since early 2015, while youth Unemployment jumped to 39.4%. The good news, if only for markets, is that since the court declined on all three referenda, that Gentiloni’s cabinet will not have to face early elections, Italian BTP yields promptly dropped to the lowest level in a week. The less pleasant news, however, for Gentiloni, is that overnight the 62 year old Italian Prime Minister Paolo Gentiloni had an angioplasty—an emergency surgical procedure to clear an obstructed coronary artery—his spokeswoman said. Mr. Gentiloni, 62 years old, felt ill late Tuesday, after returning from an official visit to France, the WSJ reported. His spokeswoman said the operation went well and he was now awake in intensive care in Rome’s Gemelli hospital. She said it was unclear how long he would remain in hospital, but he may need to stay there for at least another couple of days, the spokeswoman said. Mr. Gentiloni, who took office in December following Matteo Renzi’s resignation, has canceled his visit to London on Thursday, when he was meant to meet British Prime Minister Theresa May. We wish the new PM a speedy recovery, although we wonder if governing Italy is what a man in his condition needs. Responding to the latest report accusing Trump of being a Russian pawn (which may at least partially have been the spawn of a 4Chan hoax), the Kremlin said on Wednesday it was “total nonsense” that Russian officials had assembled a file of compromising information on Donald Trump. Speaking to reporters on a conference call today, Kremlin spokesman Dmitry Peskov said the dossier containing the claims was a hoax which had been dreamt up to further harm U.S.-Russia relations, which are already at their lowest level since the Cold War. Peskov told reporters that Russia had no “kompromat” – a term for ‘compromising material’ – on Trump, as claimed in an unsourced report widely shared among the highest levels of US government, and which had been distributed months ago, and also available to the Clinton campaign. Peskov added that the Kremlin does not engage in compiling compromising dossiers on anyone and was focused on building relations with Russia’s foreign partners instead. Putin’s spokesman also said the Kremlin also did not have a dossier on Hillary Clinton. “The Kremlin does not collect kompromat. The Kremlin and the president of [Russia] establish relations with our foreign partners: first of all, in the interests of the Russian Federation and the Russian people, and secondly, in the interests of global peace, stability, and security,” he said. Russia’s response conforms with Trump’s angry outburst on Twitter last night, when in a tweet on Tuesday evening, the president-elect likewise dismissed the reports that Russia had compromising information on him. “FAKE NEWS – A TOTAL POLITICAL WITCH HUNT!” he wrote on Twitter. On a separate matter, asked to respond to the prospect of new U.S. sanctions affecting Russia’s oil and gas sector, Peskov said such measures, if they happened, would damage Russia, bilateral ties, and the global economy. The Russian energy sector would definitely get compensation if such sanctions were imposed, he added. Peskov also said Putin was unfazed by reports that Trump’s pick for secretary of state, Rex Tillerson, would say at his confirmation hearing on Wednesday that Russia posed a danger, which previously was praised Tillerson, who has experience of working with top Russian officials in the oil sector. Peskov said the Kremlin stood by its assessment of Tillerson as someone who was willing to listen and was constructive, but was aware he was likely to be a tough operator too. “We understand that Tillerson will continue to be quite tough in pursuing his line,” said Peskov, saying the Kremlin was not wearing rose-tinted glasses when it came to the former U.S. oilman. Russian officials early Wednesday said that news it had “compromising personal and financial information” on Trump was “absolute fabrication.” The Kremlin has no compromising dossier on Mr. Trump, such information is not consistent with reality and is nothing but an absolute fantasy,” said Kremlin spokesman Dmitri Peskov. In light of Trump’s adversarial tone, futures are easing lower, concerned what Trump will say at today’s 11AM EST press conference, where the topic of Russia is sure to be top billing. The Mexican Peso has plunged to fresh record lows this morning on mounting concerns that Donald Trump’s trade policy could end the country’s privileged status among developing countries. As The Wall Street Journal reports, the selloff underscores gathering fears that the economic gains Mexico has made over the past two decades could reverse, as the incoming Trump administration takes a confrontational stance that could bring tariffs and border-control measures that until recently appeared unthinkable. The North American Free Trade Agreement, which in 1994 created a free-trade zone among Mexico, the U.S. and Canada, cracked open the giant American consumer market to Mexican businesses in a way no other emerging market has ever enjoyed. Nafta has also brought relative stability to the peso after a series of currency crises, a crucial factor in reassuring foreign buyers of Mexican bonds and other assets. Now that advantage could be in jeopardy if Mr. Trump follows through on pledges to renegotiate the agreement. Luis de la Calle, a former top Mexican trade official, said Mr. Trump’s statements and policies that have caused the peso to decline could backfire. They would dent Mexicans’ ability to buy U.S. goods, which could expand the U.S. trade deficit. A weaker peso is also likely to spur more illegal immigration if Mexico’s economy falters. “Trump is manipulating Mexico’s currency through his tweets—against the U.S. interest,” Mr. de la Calle said. We suspect one mention on NAFTA in today’s Trump press conference and the peso breaks above 22/$. Long-simmering social tensions in Mexico are threatening to boil over as failing neoliberal reforms to the country’s formerly nationalized gas sector are compounded by open corruption, stagnant standards of living, and rampant inflation. The U.S. media has remained mostly mute on the situation in Mexico, even as the unfolding civil unrest has closed the U.S.-Mexico border in San Diego, California, several times in the past week. Ongoing “gasolinazo” protests in Mexico over a 20 percent rise is gas prices have led to over 400 arrests, 250 looted stores, and six deaths. Roads are being blockaded, borders closed, and government buildings are being sacked. Protests have remained relatively peaceful overall, except for several isolated violent acts, which activists have blamed on government infiltrators. The narco-state, or as Mexican activists say, “elnarco-gobiero,” is a term used to describe the open corruption between the Mexican government and drug cartels. The narco-state has been in the headlines lately over the kidnapping and presumed murder of 43 Ayotzinapa students in Iguala, Guerrero, in 2014. This has been a source of continuous anti-government protests ever since. After last week’s massive product builds (and crude draw), API suggested additional builds ahead of DOE data which confirmed even bigger than expected builds in Crude, Gasoline, and Distillates. WTI gapped lower on the print then accelerated lower as US crude production rose by the most since May 2015. Biggest crude build since November and another week of massive builds in gasoline and distillates…The 13.4 million barrel increase in total U.S. crude and refined products stocks last week is the biggest weekly gain since April 2015. As we noted earlier,market focus has turned on the lira as a result of Turkey’s large external borrowing requirement which makes its currency one of the most vulnerable currencies to tightening by the Fed. Not helping matters is that Turkish residents have been flocking to the stability of hard currencies, the opposite of what President Recep Tayyip Erdogan has been urging. As the following Bloomberg chart shows, deposits in foreign exchange for individuals and companies excluding banks rose for a third week, signaling a lack of confidence in the lira. It’s the biggest loser among world currencies so far in 2017. Additionally, Turkish economic growth has remained sluggish and inflation is rising, yet the central bank has been under pressure from President Tayyip Erdogan not to hike interest rates. A series of gun and bomb attacks have heightened security concerns. On Tuesday the Turkish parliament voted to press on with a debate about constitutional reform to strengthen the powers of President Tayyip Erdogan. “Nobody wants to be the last one in there and everyone is running for the door. There are no signs from the authorities that they are taking it seriously,” said Jakob Christensen, head of EM research at Danske Bank. Christensen said the risk of further attacks was undermining the tourist sector, which is vital for the economy and balance of payments. Making matters worse, and confirming the currency crisis is becoming one of credit, Turkish five-year credit default swaps rose four bps to 288 bps according to Markit data, a one-month high, and the yield premium paid by Turkish sovereign bonds over U.S. Treasuries on the JPMorgan EMBI Global Diversified widened out 4 bps to 377 bps. The Lira – officially the world’s most volatile currency – has lost 11% of its value since the start of 2017 (down 8 of the last 9 days against the USD). In fact, the lira headed for its biggest five-day loss since Lehman (Oct 2008) after a pledge by Turkey’s central bank to support the currency failed to convince investors. The 30 yr bond yield 2.965, DOWN 1 IN BASIS POINTS from TUESDAY night. USA dollar index early WEDNESDAY morning: 102.43 UP 39 CENT(S) from TUESDAY’s close. the Italian 10 yr bond yield is trading 46 points HIGHER than Spain. The British pound at 5 pm: Great Britain Pound/USA: 1.2211 : UP 42 BASIS POINTS. Stocks scrambled back to green after the Trumpnado struck… Nasdaq record high again, Trannies rallied over 1%! – NOTE the rally startd right after Europe closed… AGAIN! Yields tumbled as Trump spoke and were pushed lower on a very strong 10Y auction but everything bounced back in the late afternoon…but bonds ended the day unchanged. This rippled through risk assets, leaving gold higher, stocks lower, peso higher (after initial crashing), but idiocyncratic issues slammed drug stocks, and aircraft makers. A bill to repeal and replace Obamacare simultaneously will be introduced by the White House once HHS Secretary nominee Tom Price is confirmed, Trump says. A Supreme Court nomination will come within two weeks of Trump taking office. Due to higher rates and also the fact that the central banks are paying banks to hold reserves, the Fed only remitted 92 billion back to the treasury in 2016, its lowest level in 3 yrs. The world was reminded of the cozy relationship between The Fed and The Treasury again today as Janet sent Jack $92.0 billion of freshly ponzi’d net income for 2016 providing the federal government with an important source of funding. This, however, is down almost 6% from 2015 and despite a considerably larger balance sheet is the lowest remittance since 2013 due to doubling the handouts to the major banks to $12 billion last year. As Reuters reports, part of the decline is due to a drop of about $2.6 billion in what the Fed earns on its holdings of U.S. Treasury bonds and mortgage-backed securities accumulated in fighting the 2007 to 2009 financial crisis. But most of it is a result of the interest paid on excess reserves held by commercial banks at the 12 regional Federal Reserve institutions. Banks are required to hold some reserves, but are allowed to deposit more if they choose. Between more cautious lending and weak economic growth, total reserves have been at historically high levels since the financial crisis — roughly $2 trillion as of the end of the last year compared with a few billions of dollars in more typical times. When the Fed increased its target interest rate in Dec. 2015 by a quarter of a percentage point, to a range of between 0.25 and 0.5, it increased the rate paid to banks as well – and pushed its overall reserve interest costs from $6.9 billion in 2015 to $12 billion last year. The increase may draw attention from lawmakers who have been critical of the Fed paying money to large commercial institutions. The central bank argues that the payments are its most effective way to push rates higher: by offering interest on excess reserves, the Fed forces banks to raise the rate at which they are willing to lend to each other. As is clear in the chart above, a decade ago, back when the Fed was a smaller size, Fed remittances were fairly steady, in the neighborhood of $20 billion a year. This all changed after 2008 as the Fed’s Quantitative Easing programs increased the amount of interest-earning assets that would generate funds to transfer back to the Treasury. For the US Treasury, Fed remittances are something of a free lunch. When someone buys a Treasury bond, the government must pay them interest. This applies to the Fed as well, but then at year-end the Fed remits the interest back to the Treasury. As much as economists talk about the independence that the Fed holds from Congress, these remittances represent a strong link. In fact, since they enable federal spending they create a form of quasi-fiscal policy for the Fed to use, in addition to its more common monetary policy options. Consider that since Treasury debt is almost never repaid in net terms (old issues are retired but replaced with new debt issuances), the true cost of financing the US government’s borrowing is not the gross amount of debt outstanding but the annual interest expense it faces. Viewed this way, nearly half of the Treasury’s borrowing was financed by the Fed last year. Absent these Fed remittances, Congress would need to look at either an alternative funding source (though I am not sure how many takers there are for the Fed’s $2.5 trillion Treasury holdings) or make some serious cuts. How serious? NASA’s operating budget was roughly $18 billion last year, so a lack of Fed remittances would cause the Treasury to cut around five NASA-sized programs. Alternatively, the governments Supplemental Nutrition Assistance Program (previously known as “food stamps”) cost $70 billion in 2014. Without the Fed’s remittances, Congress would have to stop paying out all food stamp recipients plus it would be forced to defund almost two NASAs. More important in many Americans’ hearts is their monthly social security check. In 2014, $830 billion of social security checks were mailed out. Without Fed remittances, retirees might see their monthly check cut by about 12 percent. For those concerned with the burgeoning size of the federal government, putting a stop to Fed remittances would put a serious dent in public finances and force some serious thought as to what programs need to be cut.